How Can "Pinning" Help Your Business? Pinterest has exploded onto the social media scene and is one of the fastest growing networks. With more than 10 million users (most of those also integrating with Facebook) it quickly emerged as the top visually-driven social platform. 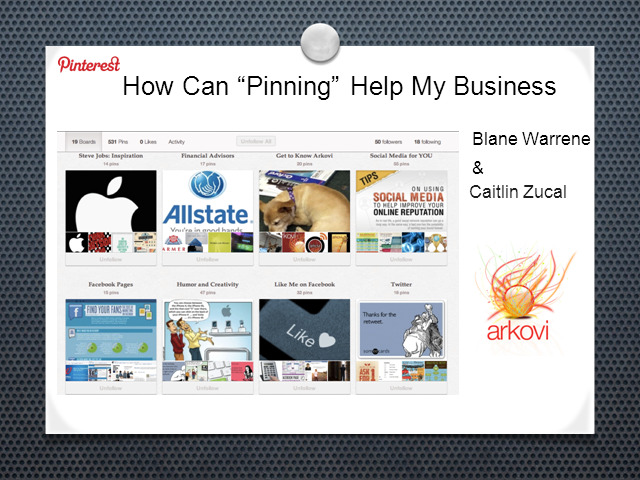 Being used by both business and consumers - learn how "pinning" can hep your business. Title: How Can "Pinning" Help Your Business?